The deadline for application to the Short Film & International Short Film categories is fast approach for the 2018 OFFline Film Festival. Submissions for the festival close at midnight; August 1st. Entry cost is €15. Prizes include Best Irish Short, which wins a guaranteed distribution deal to over 80 official film clubs across Ireland; Best International Short and the Audience Award. OFFline Film Festival also includes workshops on all aspects of film-making given by industry professionals. One of the most exciting aspects of OFFline is the short film-making challenge where teams of film-makers make and edit a short film in Birr in a matter of days, often enlisting the help of locals in front of and behind the cameras.﻿ These films are submitted to an international panel of judges and screened to the public on the final day with the winning short bagging a generous cash prize. All selected filmmakers are invited to OFFline as guests of the Festival (The festival provide complimentary accommodation and transfers from Dublin airport). All entries will be viewed by the selection committee. Official Festival selection will be announced by the end of September 2018. Only successful entrants will be notified by email. Details of selected films will also be posted on OFFlines website. The Festival does not pay fees for submitted work. Finalists will have their films screened during the Festival and on the last day an overall winner in each category will be announced. 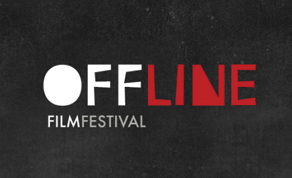 OFFline Film Festival takes place in Birr, Co. Offaly on October 12th-14th.